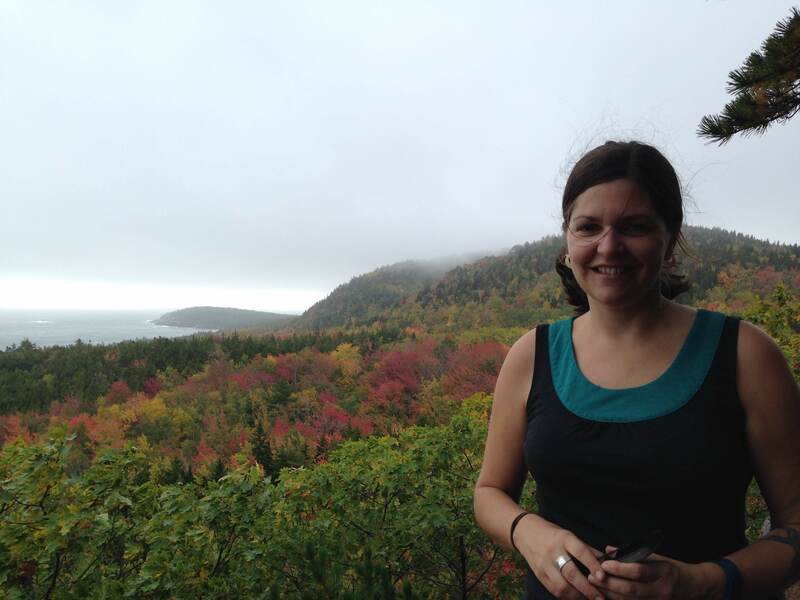 Meet Alison Violette, Portland Trails’ new Office Administrator. A native Mainer, she has extensive experience working with non-profits. She has held positions in HR and Training departments, as Volunteer Coordinator and Supervisor of seasonal staff, as well as various program and administrative positions at organizations such as Goodwill Industries of Northern New England, the Appalachian Mountain Club and Friends of Baxter State Park. She joined us in January, 2019. With a BA in Communications and a Graduate Certificate in Geographic Information Systems, Alison began her lifelong love for volunteering and environmental conservation straight out of college through an AmeriCorps program with the Northwest Service Academy in Portland, OR, called EnviroCorps. More recently she did another AmeriCorps stint with the Maine Conservation Corps as an Environmental Educator on Mackworth Island. She’s also volunteered with the Maine chapter of Leave No Trace’s Steering Committee and participates as a citizen scientist in a Mountain Birdwatch with the Vermont Center for Ecostudies, collecting information about Bicknell’s Thrush. In her free time she hikes local and regional trails, kayaks nearby waters, enjoys cross-country skiing, sings with Renaissance Voices, knits, and helps her husband plan their next big climbing adventure abroad. Alison and her husband live in Portland with their cat, Nilla.